Summer is coming. There are many kinds of fruit juices and drinks everywhere in the market. Beverage is a popular liquid drink. There are many kinds of drinks available for people in the market. Such as mineral water, fruit and vegetable juice drinks, carbonated drinks, wine, fruit wine and so on. For different beverage varieties, production machines are also very different. How does a fruit juice processing factory choose fruit juice making machinery and its manufacturer? The production of fruit juice is mainly three parts. Squeezing juice, degumming and ultrafiltration, concentration. The most important part is squeezing juice. The so-called “squeezing” is the process of pushing an object (an extrusion surface), then squeezing out liquid and gas in a mixture of solids, liquids and gases from a limited space (extrusion chamber). If the extrusion equipment is reasonable, only the gas and liquid substances can be extruded from the extrusion chamber, while the solid material is still left in the extrusion chamber. The most important equipment in the fruit juice production is fruit juice making machine. Fruit juice making machine is a machine that squeezing fruit or vegetables into fruit juice by mechanical means. There are several kinds of general fruit juice making machines. The most common types are home use fruit juice making machine and fruit juice making machine for fruit juice factory. Now we mainly introduce the fruit juice making machine used in fruit juice factory. What are the factors that affect the juice yield? Extrusion force. In a certain pressure range, the juice yield is directly proportional to the extrusion pressure force. But the scope is critical. The crushing degree of the fruit pulp mud. Thickness of the extrusion layer. Juice additives. With or without additives, the effect of the juice yield is up to 11.7%. Spiral fruit juice making machine is widely used in China. It has simple structure, few failures and high production efficiency. 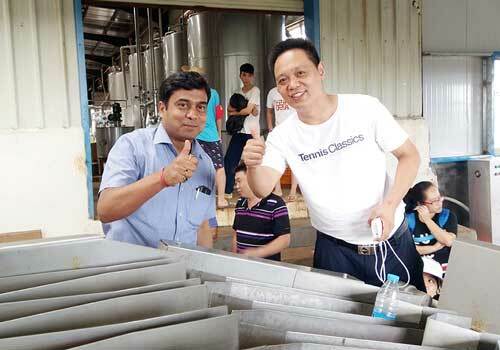 But the juice yield is low, most of which are 40-60%, the turbid matter is more than 3%. 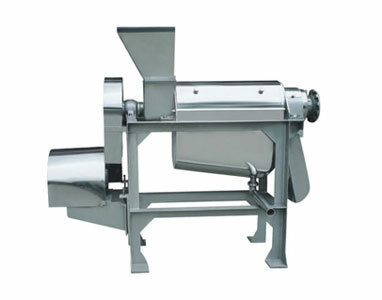 The belt fruit juice making machine is continuously operated with high efficiency and is suitable for mass production. The juice yield is high, about 78%. 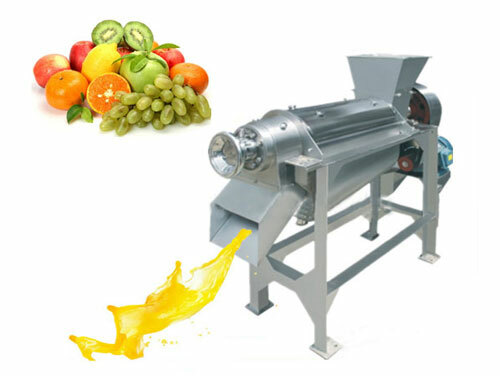 Belt fruit juice making machine is the most advanced fruit juice making machine at home and abroad. Since there are more turbid substances in the initial juice, which affect the concentration of fruit juice and the quality of the final product, it is necessary to purify the virgin juice. The separation ultrafiltration equipment is mainly used for separation and clarification, so as to improve separation factors and efficiency. Concentrating juice is a purify fruit juice. Under high vacuum, at 60-65℃ temperature environment, vaporizing most of the water in the fruit juice, reducing the volume to about 1/6 of the original volume, soluble solids content increases from about 12% to 72%. It is convenient for transportation and preservation. First of all, fruit juice making machine is not a beverage production equipment. Tianjin Anson International Co., Ltd (TICO) is a company specializing in the design and manufacture of fruit juice making machine, including orange juice making machine, pineapple juice making machine, mango juice making machine, apple juice making machine and so on. If you want to build your own fruit juice plant, please contact us.